CES Show Las Vegas 7th January 2010. 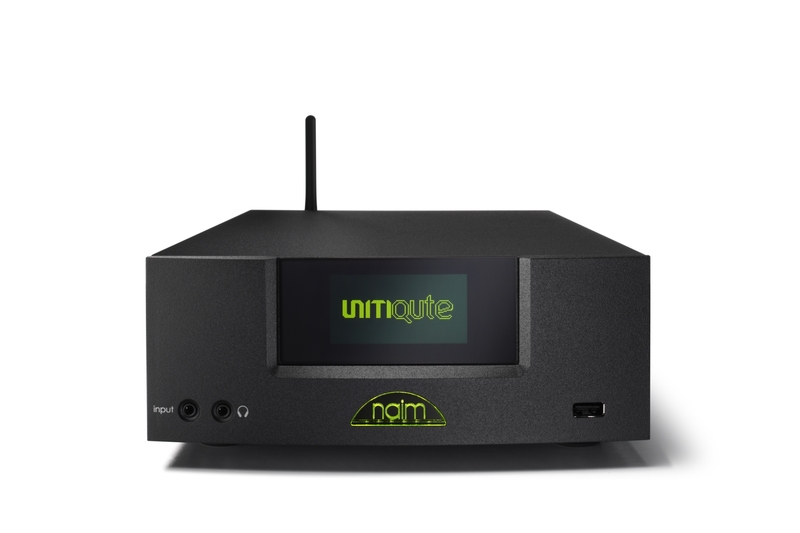 Naim Audio, the UK’s largest and most successful specialist audio manufacturer, launches UnitiQute a smaller more compact all-in-one system than NaimUniti Naim Audio’s multi award-winning system. Naim developed UnitiQute recognising a new breed of consumers – those who want the performance and the convenience that new technology brings but will not accept the compromise in performance that following this route from a non-audiophile brand might entail. The UnitiQute is the first high-end remote controlled all-in-one audio player to offer so many sources: FM & Internet Radio (plus DAB in supporting markets), MP3 / iPod (Authenticated digital iPod connection), Streamed audio and USB. Key to UnitiQute is its digital audio streaming capabilities. UnitiQute can wirelessly stream music stored on UPnP™ networked devices, providing access to even more music including – the increasingly popular – hi resolution 24bit / 96kHz WAV or FLAC files. With its onboard 24bit / 192kHz capable DAC, UnitiQute is the ultimate audio source hub, able to interface with digital audio sources, such as computers and gaming consoles and the latest TVs. UnitiQute combines proven and multi-award winning analogue engineering as it is derived from Naim’s top selling and again multi-award winning, NAIT 5i integrated amplifier with state-of- the-art up–to-the-minute digital engineering to deliver the sonic performance to make the most discriminating customer proud. The large linear power supply designed for UnitiQute ensures that it can deliver the necessary goods even at party levels. The industrial design reflects the company’s belief in understatement and elegance. The design however is not just cosmetic: the choice of non-magnetic materials — to reduce eddy currents significantly — and the fit and finish are all added extras in the performance. UnitiQute will be available worldwide in March at an anticipated cost of $2000 in the USA and £1350 in the UK. Prices in other markets are available from Naim’s local distributors. Naim products are designed and manufactured at the Naim headquarters in Salisbury England. Naim pride themselves as being an engineering led company where technical excellence vies with sound quality as being the primary driver. Every aspect of the design and build is under Naim’s control. Production is cellular: one person assembles a complete product to instil the pride of “getting it right, the first time – every time”. The Naim Audio UnitiQute has been named an International CES Innovations 2010 Design and Engineering Awards Honoree. Products entered in this prestigious program are judged by a pre-eminent panel of independent industrial designers, engineers and members of the media to honor outstanding design and engineering in cutting edge consumer electronics products across 36 product categories. Naim Audio’s UnitiQute will be displayed at the 2010 International CES, January 7-10, 2010 in Las Vegas, Nevada. The Innovations Design and Engineering Showcase will feature honorees by product category in the Grand Lobby of the Las Vegas Convention. The Naim Label www.naimlabel.com is far from alone in offering hi-resolution audio downloads. The files, generally in .WAV or .FLAC format, are usually at digital resolutions containing four times the data rate of standard CD quality. They deliver a quality far in excess of CD.